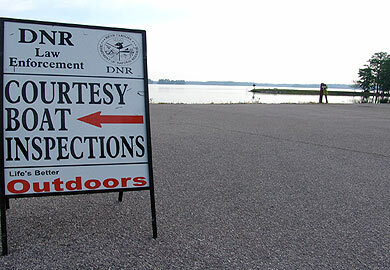 In an effort to keep state waterways safe during the upcoming Labor Day holiday weekend, the S.C. Department of Natural Resources Law Enforcement Division will again be conducting courtesy safety inspections at some public boat landings. 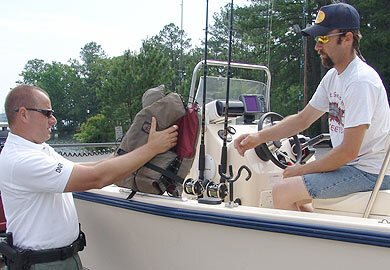 S.C. Department of Natural Resources (DNR) boating safety and enforcement officers will perform a quick, but thorough, inspection for items such as required safety equipment and proper boat and motor registration. Those who are not in compliance with safety regulations or registration requirements will not be ticketed during the complimentary inspections. Instead, they will be given an opportunity to correct the problem before they launch their boat. 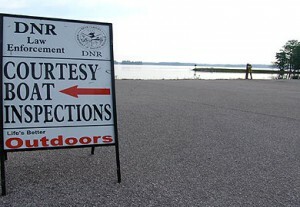 DNR officers will also be available to answer questions and give boaters tips on how to stay safe on the water. To report boating violations such as reckless operation or an intoxicated boat operator, call the DNR toll-free, 24-hour hotline at 1-800-922-5431. For a copy of South Carolina’s boating regulations, to find out about local boating safety courses or to obtain a free float plan form contact the DNR Boating Safety Office at 1-800-277-4301. Billy Dreher Island – Lake Murray – 10 a.m. to – 12 noon – Newberry Co.
Buster Boyd Landing – Lake Wylie – 10 a.m. to 12 noon – York Co.
Conway Marina Landing – Waccamaw River – 10 a.m. to 12 noon – Horry Co.
Lake Keowee – South Cove – 10 a.m. to 12 noon – Oconee Co.
Lake Murray Dam – 10 a.m. to 12 noon – Lexington Co.
William Dennis Landing – Cooper River at Tailrace Canal – 10 a.m. to 12 noon – Berkeley Co.
Wappoo Cut Landing – ICW south of Charleston Harbor – 10 a.m. to 12 noon – Charleston Co.
Grays Hill Landing – Whale Branch River – 10 a.m. to 12 noon – Beaufort Co.
Billy Dreher Island – Lake Murray – 10 a.m. to 12 noon – Newberry Co.
Lake Wateree State Park Landing – Lake Wateree – 2 p.m. to 4 p.m. – Kershaw Co.
Galivants Ferry Landing – Little Pee Dee – 3 p.m. to 5 p.m. – Marion Co.
Wacca Wache Landing – Waccamaw River – 10 a.m. to 12 noon – Georgetown Co.
Isle of Palms Marina Landing – Morgan Creek – 10 a.m. to 12 noon – Charleston Co.
Leeds Avenue Landing (County Farm) – Ashley River – 10 a.m. to 12 noon – Charleston Co.
Millstone Landing – Savannah River – 10 a.m. to 12 noon – Jasper Co.
Scotts Ferry – Lake Thurmond – 12 noon to 2 p.m. – McCormick Co.
2 Responses to "DNR Courtesy Boating Inspections Set During Labor Day Weekend"